Hi Everyone! I had so much fun doing the podcast last week that I decided to do another one! Thank you all for your very sweet comments and encouragement! Large Pebble Beach Shawl by Helen Stewart using Madelinetosh Prairie in "Medieval." 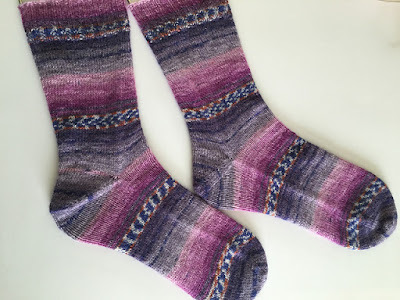 ‌- Opal Sweet & Spicy 2 socks in "Red Cabbage" or Color #8615. They are the 3rd pair of socks for the boxosox KAL that Kristin with the Yarngasam Podcast is hosting. I did a toe-up sock and afterthought heel. I used Kirby Wirby's tutorial for the heel. I also did a Turkish cast on and Jeny's Suprisingly Stretchy bind off. - My other two pairs that I finished this year are Patons Kroy "Brown Rose Marl" and Voolenvine Yarns Blitzed in "Pandora". April socks might be West Yorkshire Spinners in "Kingfisher" from Wool Warehouse. 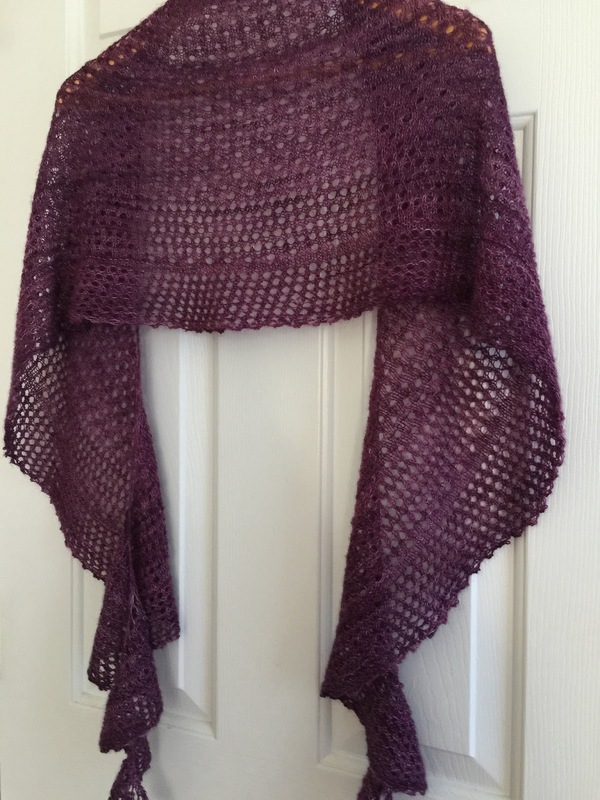 - Wildes Meer Shawl by Kristen Lehrer of Voolenvine Yarns using Nice & Knit in "High Tide." 100% Superwash Merino, which can be found at Niceandknit.com. The beads are from Earth Treasures Gems. - Cozy Memories Blanket using Kemper's recipe of the Junkyarn Podcast and Junkyarn.com. Let me know if anyone out there has any interest in doing a mini skein swap! - Matthew's rainbow socks using Manic Pixie Dream Yarn Zooey in "Cloudy with a chance of Rainbows." - Malabrigo Nube in "Piedras." (Piedras means stones or rocks in spanish). 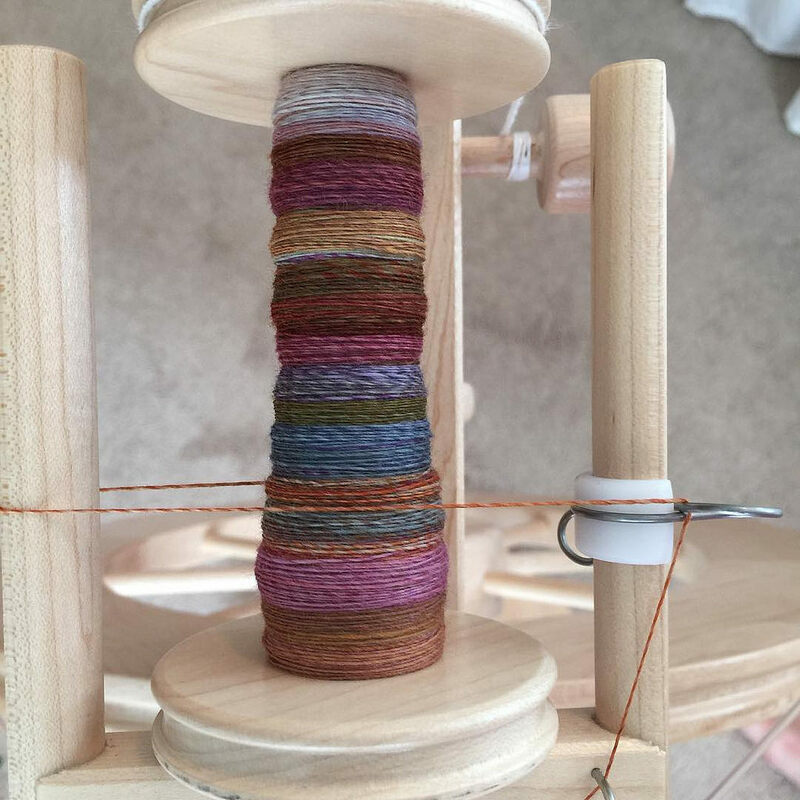 I'm spinning it thin and I plan to do a 2 ply. I'm using the middle whorl on my Lendrum Fast Flyer, which is a 15:1 ratio. -‌ A Good Yarn in Sarasota, FL - Fiber by Happy Fuzzy Yarn - 100% Falkland in "Amazonite and Sunset." A Good Yarn was having a Brooklyn Tweed Trunk show. 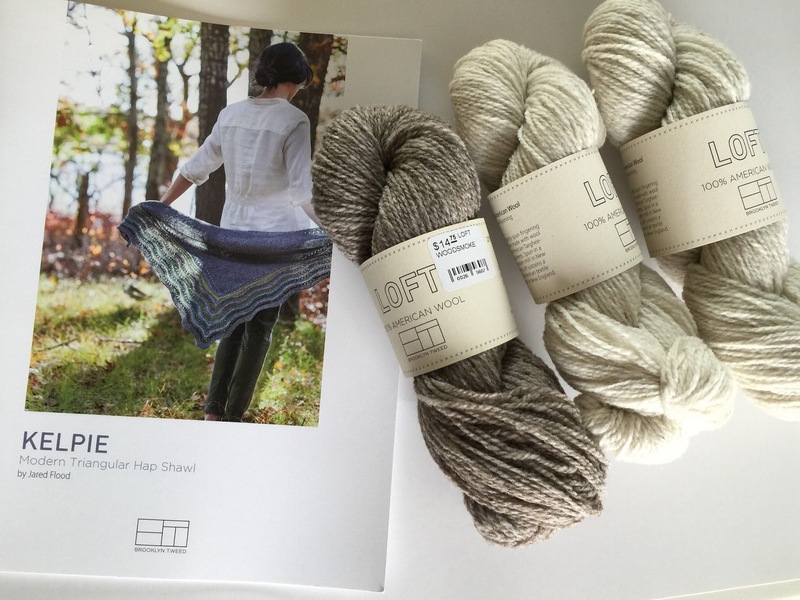 I got three skeins of Loft in "Fossil" and "Smokestack." I also got a free pattern with purchase. I picked out Kelpie. 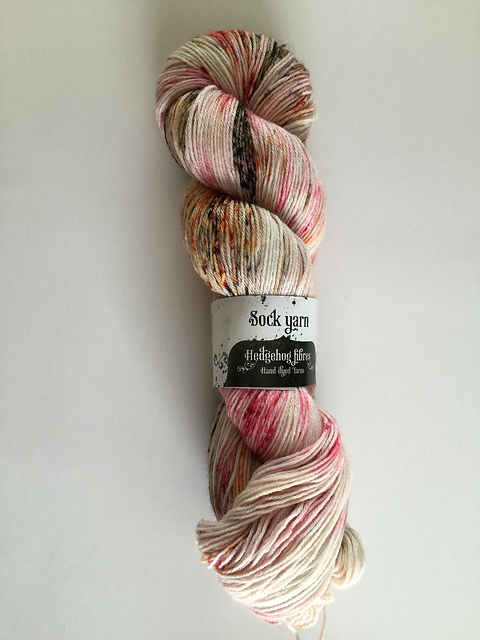 - The Knitting Patch in Altamonte Springs, FL - one skein of Hedgehog Fibres Sock in "Film Noir." Nicole, I enjoyed seeing all the beautiful things you are making! They are all so pretty. 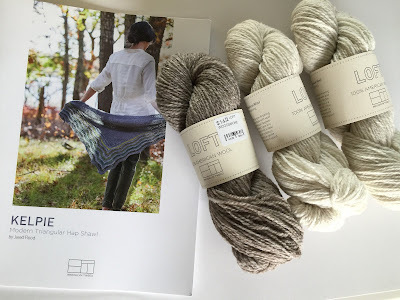 Enjoyed seeing your new purchases, and I especially love the Hedgehog Fibres sock yarn. It was good to see Oreo hanging out in the background, too! Cari and I want to know what you are going to do with all the shawls?? You are too cute!